Can you share your experience here? My adapters on their way I heard need firmware upgrade to get magnify focusing aid with them. I also interest about external viewfinder. Attila, I think you get mf assist from the second firmware revision on. I'm not on the latest on my nx10 and I have it. But new firmwares improve AF, so you might want to upgrade anyway. I find the nx10 pretty easy to focus with manual lenses, the 2x magnification is enough in most situations. The button you use to switch it on could be better placed though, as it's the OK button which forces you to stretch your thumb a bit. 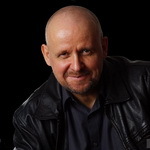 As for the evf, I've read that the nx100 evf has much lower resolution than the one in the nx10. If so, I would save the money, and either use a loupe+shade on the back screen, or sell the nx100 and buy an nx10. Be careful with kiwi adapters, as mine for nikon did not focus to infinity. Big_is adapters and the one calvin sent me for konica work great. Thank you ! 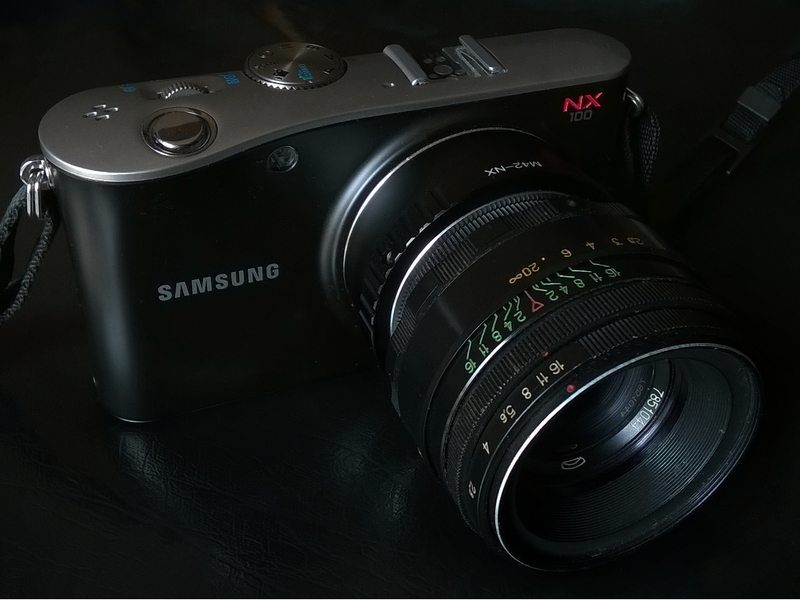 NX100 has no button to get magnify for focusing, it works if I rotate focusing ring. I found today , need to push OK button and magnified scene is come. Today I got two adapters, one for Konica and one for 4/3 (Kiwi) hopefully it will be better than your Nikon NX. Great! Do post pics from your Konica lenses when you have the time. I'm particularly interested in the 40/1.8 wide open, I have a suspicion that mine is a bit soft and I don't know if it's the lens, or reflections in high contrast scenes which might mean I need a baffle. I am fast reader and bad interpreter LOL , I couldn't get it I will make some pictures with my 40mm if I find it easily. Today I did try out on strong light with short tele lens Sonnar 85mm f2.8 CZ , 2x enlarging focusing aid was unusable especially with SONY 7x and 14x enlarging. Histogram mode focusing aid works very well even if you see almost nothing on black LCD. Most pictures are sharp, ratio is not worst than with split screen with an SLR! I think that you did find other MF lenses were OK to be used with the NX? It would explain why there so few posts in this section. Never heard of an RP-1. Which cam is that? Or is it a typo and you mean the EP-1? Perhaps I wasn't say clearly, I try to explain a bit more well. NX100 has 2x magnify as focusing aid or a histogram. 2X magnify simple not an aid with any lenses. Histogram works very well with any lens and any light situation , but strange at first time hard to trust in it (if you see only just a bar how high, nothing else). Here's my NX100 with Гелиос 44-2 attached. Manual focusing is wonderful on this bright and sharp AMOLED screen, much better than with a DSLR for my taste. I prefer 2x magnification with OK button to FA (green bar) focus peaking, which works only on the center of the frame. There is one issue however. There's a switch on the lens mount that's engaged by the lens' bayonet and it informs the body that a lens is attached. Some adapters will engage it correctly, some will not or will require some jiggling (like the one I have). The camera won't fire if the switch isn't engaged. You can fix the switch permanently with super glue or enter the developer menu (SMART auto mode: AF-MF -> OK -> ISO -> OK -> WB -> EV + OK), then 2. SYSTEM PARAMETER and check (7) NO LENS RELEASE ENABLE (still the focusing aid won't work if the switch isn't engaged, but if you don't want to mess with hardware... ). By the way, you can check shutter count in 3. ADJUSTMENT CONTROL.